With the change in temperature, beautiful fall foliage and Halloween festivities, it’s no wonder that October is many people’s favorite month of the year. Plan your perfect October around Jersey City without having to go too far from your Lenox apartment! For a day at the farm and some great family pumpkin pics, head to Melick’s Town Farm, located at 351 NJ-28, Bridgewater which is about 45 minutes from your Beacon apartment, is one of the largest farms in New Jersey with nearly 300 acres and you can bet they’re growing some great pumpkins on the property! Head to the farm on October weekends for a horse drawn wagon ride out to the pumpkin patch where you can select your own pumpkins still growing on the vine. They also have hay wagon rides at their cider mill and a large selection of pumpkins at their farmers’. For some scary good fun, head to Haunted Orchards at Demarest Farms, located at 244 Wierimus Rd, Hillsdale which is about 35 minutes from your Lenox apartment, featuring a hayride and a bone chilling series of haunted houses filled with ghouls, ghosts and all kinds of scary creatures! Unbelievable sets, thrilling animatronics and actors who are just ‘dying’ to meet you will terrify and entertain visitors this October. Reservations are limited and will sell out quickly, so inquire now to book your spot. For all your decorating and costume needs, Jersey City’s Party City, located at 733 NJ-440, which is about 15 minutes from your Lenox apartment, is the perfect destination for a wide range of themed party supplies, costumes and holiday decorations. Halloween is the biggest season at Party City by far. From August through November, Party City Jersey City is primarily a Halloween store, carrying all styles and sizes of costumes, a huge assortment of costume accessories, life-size animated props, giant stretch cobwebs, and skull pitchers and mugs. 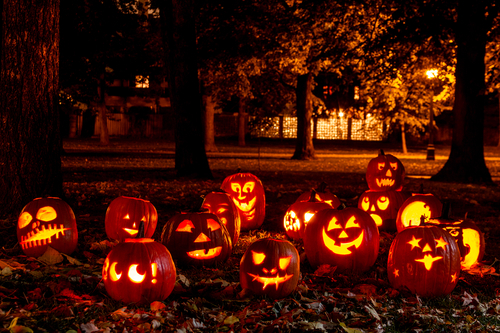 Even if you aren’t headed to a party this year, it’s a fun place to head to in October!